Find Stockbridge, GA Condos for sale. View Photos, Maps and MLS Data Now! Lynbrook Estates - Ask About The Rent To Own Program. MLS#6537803. 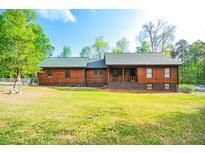 Your Home Sold Guaranteed Realty, Llc..
Bellah Landing - You Don'T Want To Miss This One! 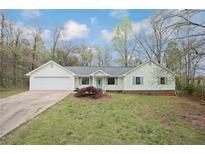 MLS#6538240. Palmerhouse Properties. Mccain Creek - Home Comes With A 30-Day Buyback Guarantee. Terms And Conditions Apply. MLS#6536332. Opendoor Brokerage, Llc. Appleton - Smart Home With Endless Controls And Energy Saving Features Right From Your Mobile Phone. Agents Use Showing Time. MLS#6537920. Mark Spain Real Estate. Instant Equity As It Is Priced $10,000 Under Appraisal For A Quick Sale! MLS#6536955. Coldwell Banker Residential Brokerage. Master Has Tray Ceiling, Master Bath Features 4' Shower, Double Vanity And Garden Tub. MLS#6536974. Sterling Real Estate Services, Llc..
Large Lot That Offers Plenty Of Space To Build. Seller Is Super Motivated!!! ! MLS#6536934. Keller Williams Rlty, First Atlanta. Home Comes With A 30-Day Buyback Guarantee. Terms And Conditions Apply. MLS#6531238. Opendoor Brokerage, Llc. Walden - Home Comes With A 30-Day Buyback Guarantee. Terms And Conditions Apply. MLS#6535328. Opendoor Brokerage, Llc. Pine Grove - Upstairs Laundry, Huge Chefs Kitchen With Island, Formal Dining Room, Granite, Hardwoods, Stainless Steel Appliances To Include The Refrigerator, Washer & Dryer, 2” Faux Wood Blinds, 2 Car-Garage And More! Hurry This One Won'T Last! MLS#6013119. Silverstone Realty, Llc. Hoa Offers, Swim, Tennis, Basketball, Playground, Playing Fields And Front Lawn Maintenance. Ready For May 20 Move-In. MLS#6535046. Sterling Real Estate Services, Llc..
Hoa Offers, Swim, Tennis, Basketball, Playground, Playing Fields And Front Lawn Maintenance. MLS#6535115. Sterling Real Estate Services, Llc..
Beautiful Property, Very Convenient To Hwy & Shopping Centers. MLS#6534011. Intouch Properties. Brookwood Estates - Move In And Start Enjoying Your New Home. MLS#6534191. Atlanta Communities. Mccullough Ridge - Full Studded/Stubbed Basement Ready To Be Customized To Your Perfect Space. 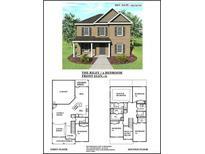 MLS#6532940. Mark Spain Real Estate. Lexington - Large Level Backyard. Seller Offering A Paint Allowance. MLS#6532943. Atlanta Fine Homes Sothebys International. Minutes From Local Schools, Shopping , And Dining. Come View This Home Today! MLS#6533418. Offerpad Brokerage, Llc..
Sold As Is With No Property Disclosure. MLS#6532422. Bob Wood Realty Company Of Atlanta. The Deck Is Perfect For Family And Friends Gatherings On Cardinal Lake, That'S Perfect For Boating, Fishing, Or Bird Watching. Don'T Miss This One! MLS#6530925. Keller Williams Realty Metro Atl. Lynbrook Estates - Too Much To Mention..Will Not Last! MLS#6527949. Drake Realty, Inc.
Go And See Your New Home! ! MLS#6530850. Virtual Properties Realty.Com. New Paint And Carpet, Spacious Floor Plan With Private Master Suite, Large, Level Fenced Back Yard, Newer Roof Summer Hill Is A Quiet, Friendly Neighborhood, Located Near Super Schools, Shopping And Great Commute To Anywhere! MLS#6530735. Atlanta Communities. Cane Creek Estates - Home Comes With A 30-Day Buyback Guarantee. Terms And Conditions Apply. MLS#6525669. Opendoor Brokerage, Llc. Hambrick Creek - This Home Recently Damaged By A Fire Is Being Sold As-Is. MLS#6528965. Investor Solutions Realty, Llc..
Meadows At Millers Mill - Laundry Room Is Upstairs. Garage Has Auto Openers. MLS#6529055. Property Services Of Atlanta, Inc.. These statistics are updated daily from the Georgia Multiple Listing Service. For further analysis or to obtain statistics not shown below please call EasyStreet Realty at 404-998-4089 and speak with one of our real estate consultants.